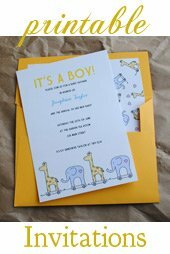 Browse our homemade baby shower invitation gallery. View pictures and tutorials from our readers or even submit your own handmade creations! Wanna Submit Your Own Handmade Baby Shower Invites? 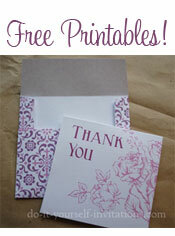 Submitting your homemade invitations is easy! Just fill in the forms below and make sure to include pictures. What inspired you to make your handmade shower invitations? To add you invitation ideas and tutorials to the gallery simply fill in the forms below. Your submission will become a page on our website! Got more than 4 pictures? You can add it with html image tags or respond to our auto-responder email with your pictures attached. We'll host and add your pictures to the page for you!